The Masters Project was plagued with the problem of how much change to the school was necessary and feasible to make successful and affordable artist studios. It became a matter of hypothesising what activities could be brought into the building to help support it financially; and so the idea of a co-operative took shape. Each new business inside the property would take part in the support and development of the complex for the benefit of each inhabitant and the surrounding community. Predicting the future is impossible, a rational system was required to justify any changes to the building. 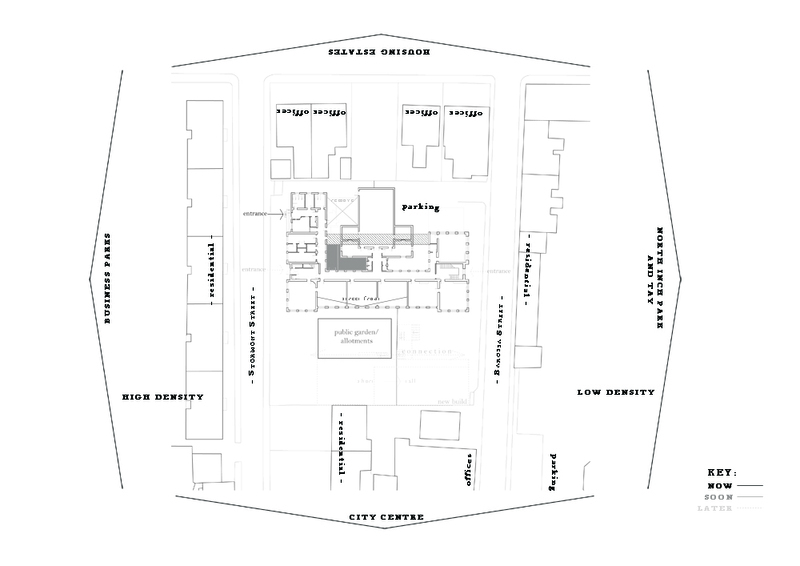 So the necessary changes to the building to make it inhabitable created a framework that a narrative was built upon. For example: disabled access is required before the first floor can be used; to justify this the ground floor must be full and therefore creating a revenue stream. These diagrams illustrate my hypothesis. It is essentially a story of how the building might be inhabited but based on the logical changes the building would require to make it suitable for use. 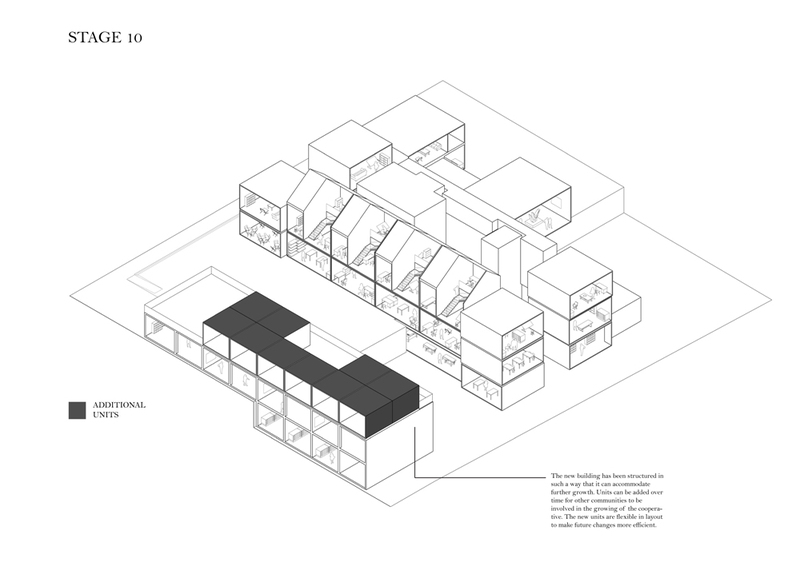 The last of the diagrams show the potential for a new development in the playground of the school, creating community allotments, housing and a purpose built gallery. Each block represents a room that is being rented and used at that stage of the development.